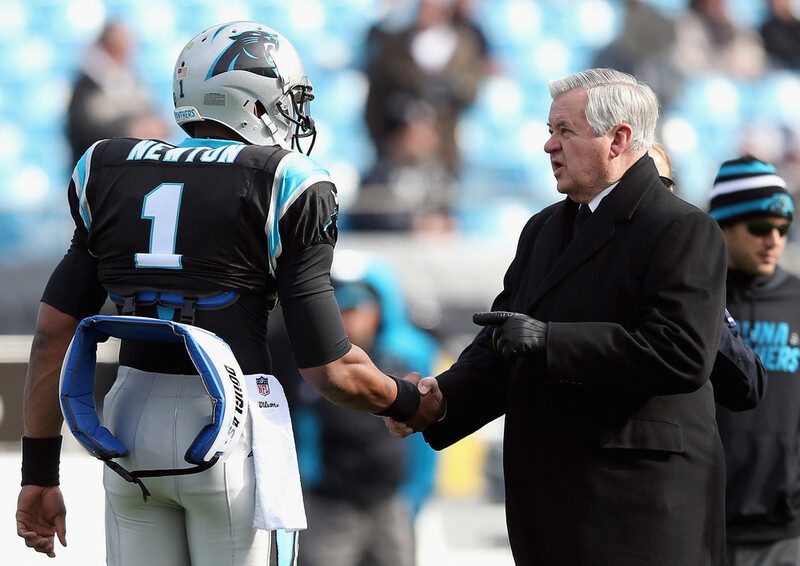 After an eventful bye week, the Carolina Panthers returned to Bank of America Stadium to host the New York Giants. There were highs and lows in what proved to be an electrifying game that came down to the last second. The Panthers did things a little differently by having the special teams run out during pregame introductions. The move proved to be foreshadowing as the specialists were crucial in securing the win. The Panthers struck early, jumping out to a 7-3 lead courtesy of a 25-yard Curtis Samuels touchdown. Sidelined for the first three games of the season, Samuels made his season debut with a bang; impressively diving into the end zone after shaking five defenders with a couple of spin moves. Samuels said early in the week that he felt faster than ever and that speed and confidence were both on full display. With Odell Beckham, Jr back deep to receive a punt, the ball deflected off his leg and was quickly recovered in the end zone by Panthers safety and special teams guru Colin Jones. The touchdown, and a Gano field goal, pushed the Panthers lead to 17-3. The Giants answered with a flea flicker play which saw Beckham throw a touchdown pass to Barkley. After trading a couple of field goals, the Panthers took a 20-13 lead into halftime. The third quarter proved to be difficult for both teams as Manning and Newton traded interceptions and both teams racked up penalties. With the Panthers clinging to a 30-24 lead, Manning and crew got the ball with 2:16 left on the clock, no timeouts, and 75 yards to go for a touchdown…and they did just that, taking 1:08 off the clock. With the Giants leading 31-30, the Panthers had 1:08 to drive 75 yards for the win. 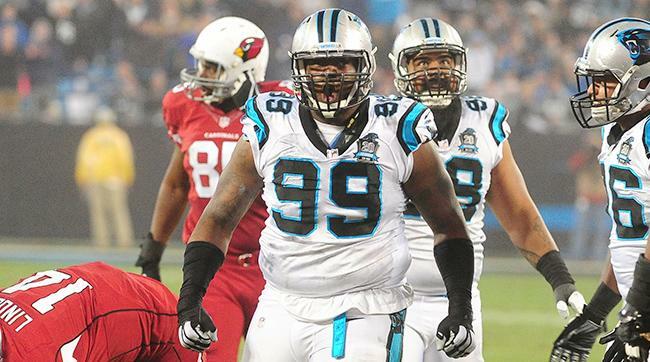 Newton led the Panthers down to the Giants 45-yd line before spiking the ball to stop the clock with 30 seconds left. Prior to the spike, the Panthers made a decision to run the ball on 3rd and 1. While they did get the first down, considerable time ran off the clock. 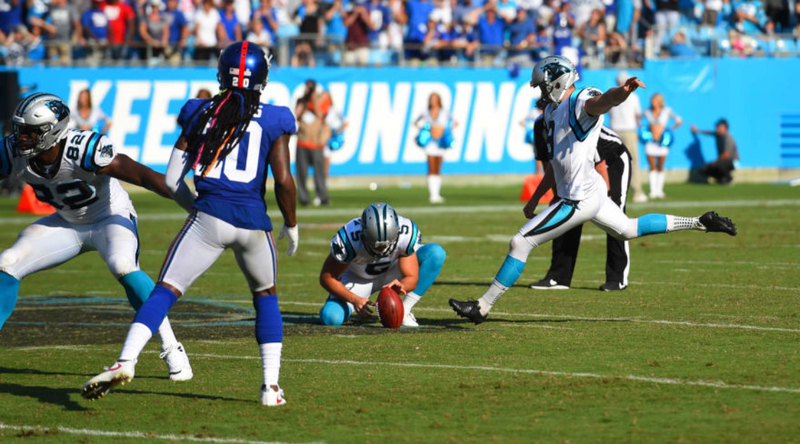 After an incomplete pass on the next play, Gano took the field to attempt a franchise-record 63-yd field goal which he made with a couple yards to spare. Swarmed by media in the locker room, Gano insists he wasn’t nervous at all. “I wasn’t nervous at all. It was kinda just one of those things. It’s so far, you’re like let’s just take a swing at it.” Rivera echoed his sentiment. “I thought, piece of cake. You know I never change my expression,” said a smiling Rivera in the post-game press conference. The overall mood in the Giants locker room was catatonic. Barkley said it best when he stated that there isn’t much to be said when someone makes a 63-yard field goal. Both Manning and Newton threw two interceptions; Mike Adams snagged both for the Panthers. Manning finished with 326 yards while Newton didn’t have one of his best games. When addressing the media, the Panthers signal caller acknowledged that the toe of Gano saved him. The Panthers finished with 350 total yards while giving up 432 total yards and 31 to a Giants team that has struggled offensively. It was the Giants first time in 38 games scoring over 30 points. Both Rivera and defensive coordinator Eric Washington both acknowledge a pass rush deficiency. Washington credited the Giants with challenging the Panthers four-man rush by controlling the pass tempo. When accessing the play of newly acquired safety Eric Reid, both Rivera and Washington were pleased. 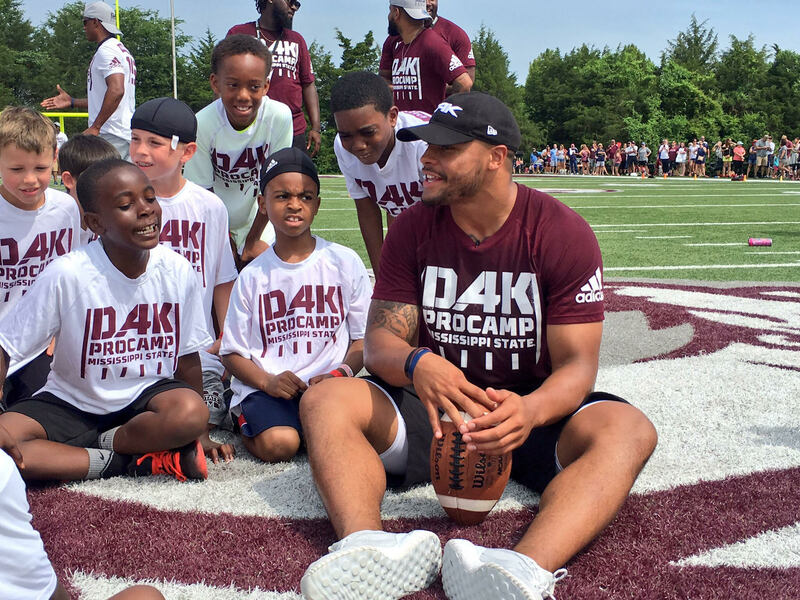 Washington revealed to the media that upon reviewing game tape, he could not point out a single error the safety made and was adamant that he will play faster and faster as he gets his “football legs” back. The Panthers improve to 3-1 and travel to take on the Washington Redskins next Sunday.